For a trouble-free move to Banning, Meathead Movers is the company for you! Our professionally trained student-athlete movers are ready to get you into your new Banning home. Welcome to Meathead Movers of Banning! If you are moving to or from anywhere in Banning, we are the moving company for you! Our professionally trained student-athlete movers and our moving concierge service are here to help you with every stage of your move in Banning. Strategically located along I-10 along the San Gorgonio Pass, Banning is a dynamic Riverside county town that is a great place to call home. Initially serving as a stagecoach and railroad stop, Banning continues to embrace its history with an annual rodeo event known as Stagecoach days. With clean desert air and incredible views of Mt. San Gorgonio and Mt. San Jacinto, Banning attracts nature lovers alike. Visit the mountains nearby for excellent fishing, hiking, biking, and camping opportunities. The city also has plenty of parks to explore and play in including baseball fields, soccer fields, and a great community swimming pool and recreational center. 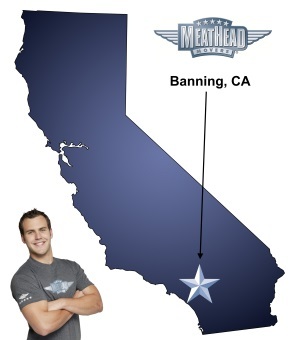 If you are considering a move to Banning, Meathead Movers is here to help. Our moving company specializes in local, long-distance, and commercial moves to, from, and within Banning. We also provide reliable packing, storage, on-site relocations, and our distinctive moving concierge service. All our student-athlete movers are thoroughly screened and trained before their first move. With branches not just in Banning, but all throughout California, we are your one-stop resource for all your moving needs, no matter where your California move takes you. In fact, you can see what your neighbors in Banning have to say about us. With our 100% satisfaction guarantee, the only thing you have to lose is the stress that comes from moving! So contact us today for a free no-obligation moving quote and to learn how we can help you on your next move! Moving to Banning? Here are some helpful resources. Friendly and professional movers. They moved with a purpose and were very quick and efficient. we have moved with meathead movers since the begining here in slo...this move last week was sad...we moved back to slo from Banning Ca..last friday...the team leader was late arriving in Banning...he wouldn't start to pack the truck unless he got half the money for the move...$3500 maybe it was in the contract...but the estimator that came to our house before we moved...said nothing about moving us without cash up front...so the move was delayed by 3 or 4 hours...again it might have been the contract but no one said you wouldn't take light bulbs...cleaning supplies?..the next day Friday...we had no phone serviceI was informed before they unload the truck they needed payment in full...I mentionedthe move wsn't completed...he said for the 1st thing from anyone that the estimated amount was due in full...I told him the estimator from meathead in Baning when I saw the total...I said we would be giving, selling, donating 1/2 the furniture listed on our sheet and also would cut the # of boxes in half to reduce the price...we almost did..we cut the total box count from 195 down to 119 total...I really wanted to save $1000 in our move back to SLO...if you really had 6 guys and 2 trucks...1 couch,2 beds no washer/dryer/no stove,no refrig.. only 5 clothes boxes...the way Arron built this business...was trust,extremely hard work..we remember watching Arron and his brother with no shirts, just shorts running every trip...the key was to beat the estimated amount..lower the hours to move and get a good discount..I was stuned to learn we could,t save a penny...someone call me tomorrow...mike melden 787-0192..I could live with $700 returned to me and you tip the 6 in LA $50..each..thanks for listening..
Everything was so professional from the first communication over the phone to the final delivery 250 miles later.